Followme on Twitter! I will follow you. I have seen Tie buddies here and their. I checked out their website to see what they were. This is what they said. "Tying your shoes is a small but essential skill, one you use for the rest of your life. Help your little one learn faster with Tie BuddiesTM. These cute, kid-friendly devices act as easy pull-tabs for small hands, taking messy loops out of the equation. The happy characters make a game of it, resulting in a strong knot and even stronger recall. " After reading that, I knew I had to try tie buddies. A fun way to teach my child to tie his shoes. Today we babysa a little girl. She is 4. After the third time she said Jessica my shoes needs tied. Lightbulb . I ran to get the tie buddies. I looked at the instruction and easily put them on. I tried it first to show her how to do it. Then it was her turn. First she did the x she already knew how to do this. Then she held the cars and zoomed one around the other. The she made one car go in the tunnel and she pulled. She tied her shoes! I couldn't believe it, she couldn't believe it. She didnt need to make bunny ears the part that always fell out of her fingers. Holding on to the nice sized cars was prefect. We did this a couple more times I cant wait for her mom to come home to see what she can do. Buy it ~ Tie buddies has Fairy and Magic Wand and Red and Green Race Cars for $8.99 a set. Win it ~ One helping mommys win reader can win their choice of tie buddies. To enter ~ Just go to Tie Buddies and tell me something you learned. Disclaimer I received this product to review. All the opinions are my own. 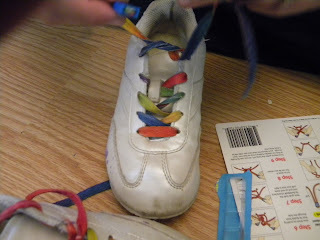 I learned that Tie Buddies was inspired by this mom's daughter and her excitement to learn tying her shoes. I learned that tie buddies offer a fairy and magic wand set! My daughter would love that- and I would love tied shoes! I follow helping mommys win! How did I find this giveaway? I check in on to read your blog daily! 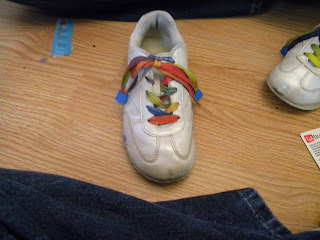 I learned that the average age of children learning to tie their own shoes has increased up to 9-10 years old! OH my! I found out about this giveaway because I have your button on my blog, and visit often. I learned that most children will choose to stop using tie buddies on their own and will tell you when they are ready. They sugguest creating stories with their characters. Hopping McLinky Blog Hop! Please stop by my blog www.jdaniel4smom.com. I never knew the tips of laces were called aglets!! I learned that in April 2007, the Tie Buddies company was started by a mom of 2. I love how they show specific instructions on how to teach children how to use them. These looks great! Would like to try them on my 4 & 5 year olds who still have no clue how to tie shoes. I would love to use these to teach my son how to tie shoes. I didn't know that tips of laces were called aglets. Thanks! One thing learned, which was quite shocking: the average age of children learning to tie has increased with some children learning as late as 9 or 10. WOW! I'd love to win these tie buddies! Thanks for the chance! This would be perfect for my nephew who is three and learning to tie his shoes! :) I was rather surprised to read this on their website: "With Velcro and slip-ons the average age of children learning to tie has increased with some children learning as late as 9 or 10." Wow! I had no idea. You know it seems these could be useful for adults who suffer from severe arthritis or rheumatism and who don't like the Velcro closures (they work well, but they stick to EVERYTHING, including socks and stockings). I would love to review your product big or small. I love trying new things and sharing them with my friends. I would love to hear from you. Please contact me at silverhartgirl@gmail.com. 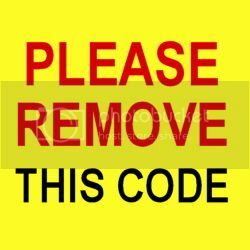 If you have a giveaway and you want me to add it here email me I will add it for free. I am a mom of three, teen, tween, and toddler. I have a wonderful hubby and have been married 15 years. I love to take photos of trees and other outdoors things,to garden, and play at the park. I love to read. I love (maybe obsessed with) Twilight ,vampires and werewolves too.I started this blog to share low comment giveaways with other giving them great chances of winning. I am still doing that I am also finding great new products, and good deals and sharing them with you. I am now having my own giveaways. I love doing this. When the kids are asleep I blog it helps me connect to other moms and relax. Want to add your giveaway? Giving Tuesday & How You Can Help Give To Our Military Families! I do accept and keep free products, services and other items from companies and organizations. The compensation and items received do not influence the content of this blog. I am compensated to provide opinion on products, services, websites and various other topics. I always give my honest opinions, findings, beliefs, or experiences on those topics or products.